The model very generally describes what happens with a gene network over time – the majority of the genes are actually working perfectly, but a small number doesn’t. There are repair mechanisms that take care of that. Also, there are mechanisms that take care of defected proteins like heat shock proteins, etc. Put together all of this in an equasion and solve it, and bam! here’s an equasion that gives you the Gompertz law for all species that have normal aging, and a time independent constant for the negligibly senescent ones. Ah, utopianism. It always discounts human behaviour. We know that safety features in automobiles tend to cause drivers to drive more recklessly, on average. Unless for eg something/one inside is perceived as vulnerable. I have never driven so carefully as when I drove my wife and newborn eldest home from the hospital. 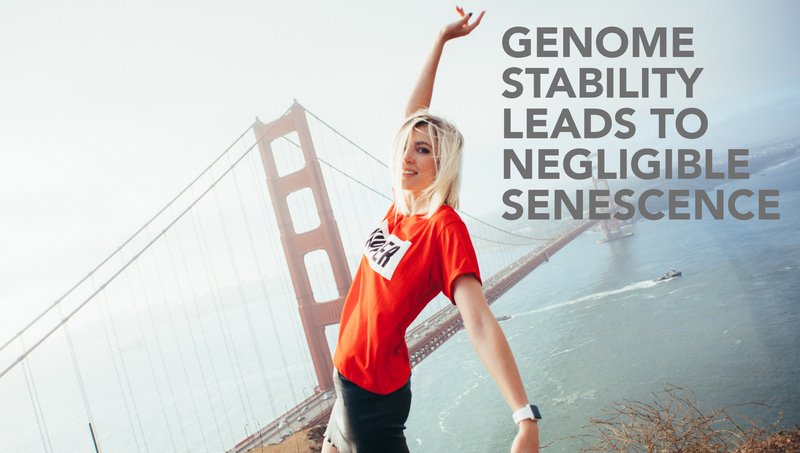 So, if there are treatments that enhance gene network stability as you call it, then a lot of people will simply use that as an excuse for relaxing on the other front and living the Good Life of booze, junk food and the high life. This is seatbelts, ABS, airbags. As we see with the sometimes wild dietary changes etc of those diagnosed with cancers or other diseases (vulnerable occupant). You assume that people will react like vulnerable occupants but read the comments under any article warning of say the dangers of sugar or the wrong dietary facts and you will see how a lot of people will react: Great! pass the bacon and the beers! Right, better not do anything and just die like usual. I am trying to figure out if humans are born with negligible senescence, but around reproductive age “suicide genes” turn on crippling their damage repairing systems, which later leads to normal senescence that we see exhibited in the human model now. This concept jives with contemporary human evolutionary theory regarding programmed senescence and its effect on intergenerational scarcity, resource management and civilization success. I really like your writing style. It’s like words written on a piece of unfurling paper. The idea is strong and reminiscent of telomeric stability and replenishment as a component of healthy aging and longevity. The idea has been repeated a few times in various studies. I’ll have to read the OP to see if they cite the paper trail. Then, like said, there’s the proteolytic system – misfolded protein response – and its failure during autophagy to mediate protein errors. This is one of my personal foils regarding the fasting debate that Aubrey De Grey has written about. If you know why, you can be my friend, no questions asked. Finally, the heat shock response system is a well known mediator of cellular stress and disease resistance. I didn’t realize that it played a role in genomic stability outside of this. The craziness of the recursive potential is not as bad as I thought initially. It ties up a lot of loose ends. I guess what I’m getting at is a more general question of “how much” as it pertains to the effect size of the OP network stability alteration/remodeling variable alteration relative to the neglible senescence. How many players are at work? Where do you hit hardest and first?